CatholicTV’s free monthly magazine is now available in a “greener” digital format which resembles and reads like an actual magazine- only it’s not made of paper. The digital magazine is identical to the print version and includes articles, showtimes, photos of shows currently in production, and even a Catholic crossword puzzle. 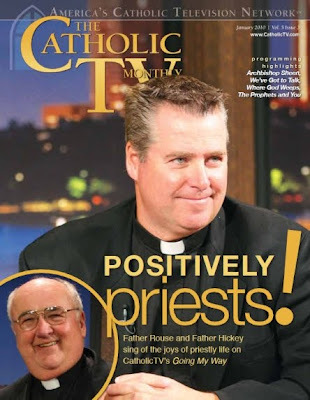 The digital version of “The CatholicTV Monthly” replaces the former PDF format. The new version is user-friendly with a new feature allowing users to “flip” through its pages just like a print magazine. Users can also zoom to enlarge print size and there is even a sound that plays every time pages are turned. The current CatholicTV digital magazine can be accessed at the following web page: http://www.CatholicTV.com/magazine/default.aspx. Archived editions of the magazine are also available at the same web address.